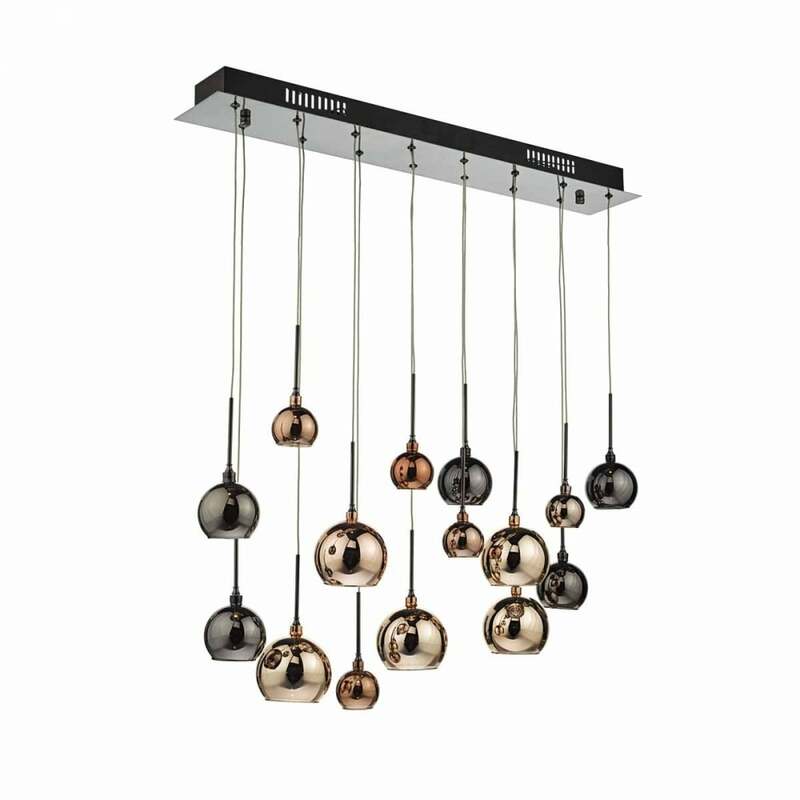 A decorative and modern design 15 light ceiling bar pendant cluster with copper and bronze blown glass shades. Each pendant is suspended on a cable flex which can be shortened at the point of installation for use in rooms with lower ceilings. This would be ideal for lighting over a dining room table or kitchen island in a contemporary setting.